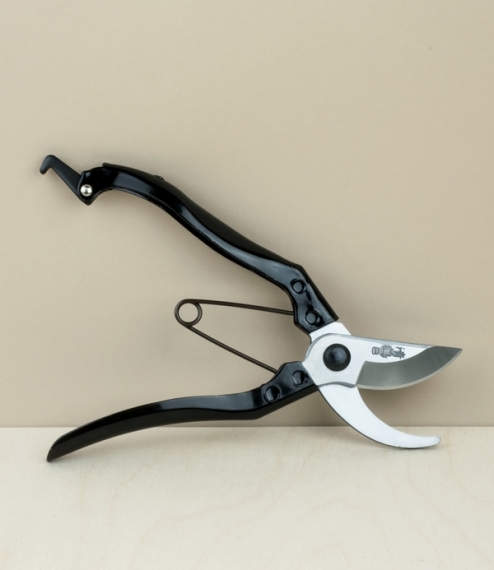 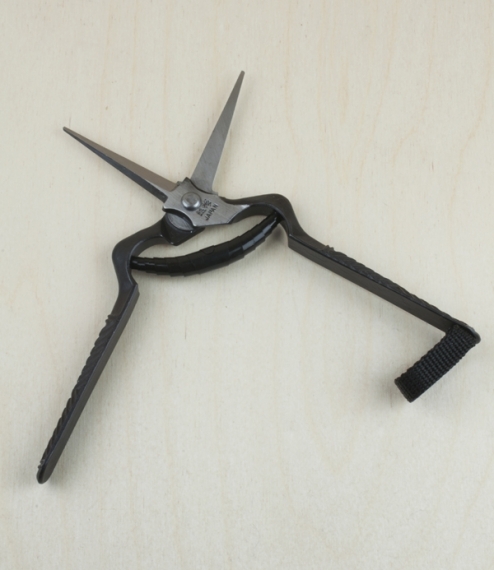 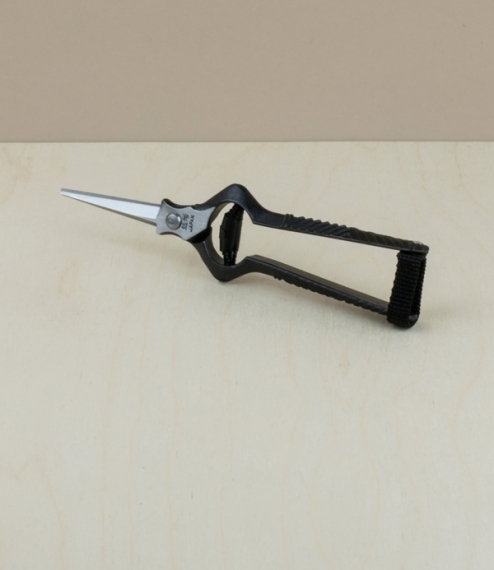 Light-weight straight bladed shears for dead-heading, thinning new growth, and floristry, the fine tapering blades being ideal for accurate work amongst dense growth, especially amidst floral borders, for roses, chrysanthemums, or for cutting grapes and other soft fruits. 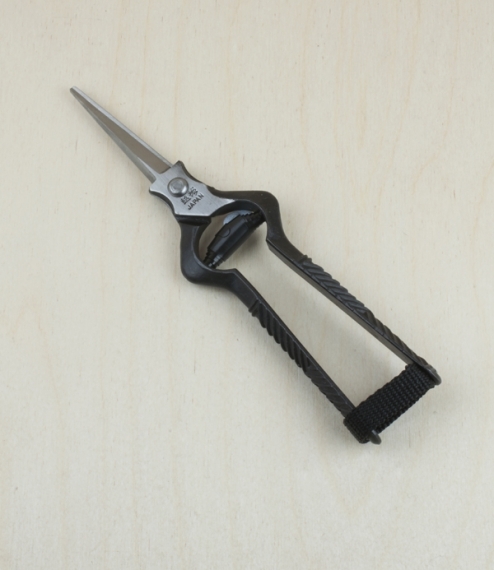 Hot forged, and with attractive and effective cast in grips these are precisely ground for a smooth, easy, and even action. 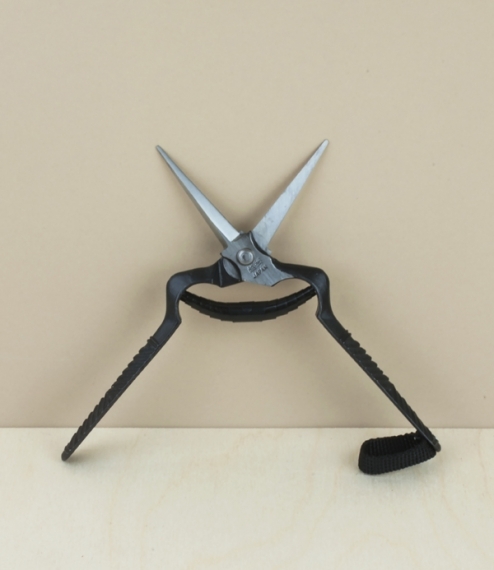 From the town of Koshiji, in Niigata Prefecture on the north-west shore of Honshu, central Japan, and area renowned for its knives, tools, and fine metalwork. 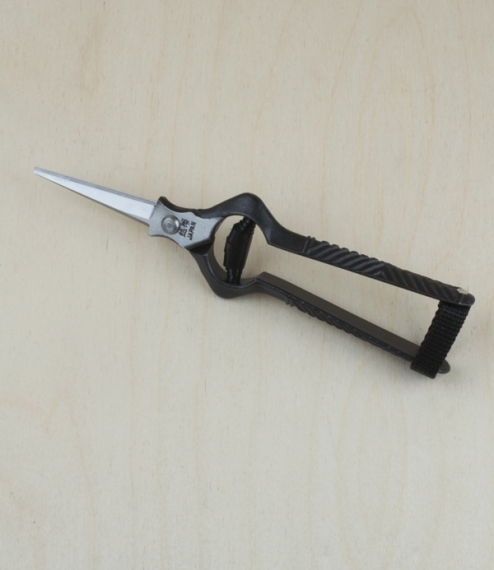 Blade length about 55mm, overall length a little under 19cm.